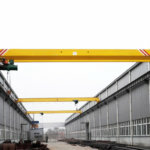 We offer a variety of 20 ton overhead crane to suit your business’s lifting requirements, such as single girder crane, double girder crane, explosion proof crane, grab crane, foundry crane and magnetic overhead crane. It is critical to select the right type of crane to improve the production of your business or the material handling process. What Type of 20 Ton Overhead Bridge Crane Do You Need? 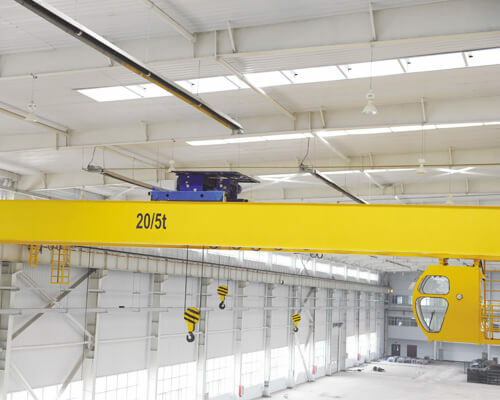 Overhead cranes can be designed with different specifications and configurations to suit varied lifting needs of customers. 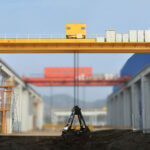 We can help you select the right crane for your business. The LD type single girder crane is engineered for light use in workshops, warehouses, storage yards and other industrial fields. 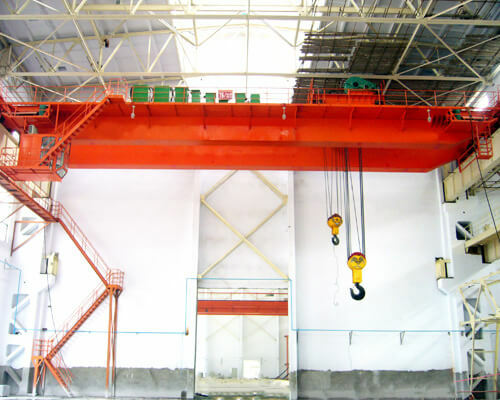 It is less expensive as it has only one girder required to move the hoist, and it requires simpler hoist design, easier installation and maintenance. 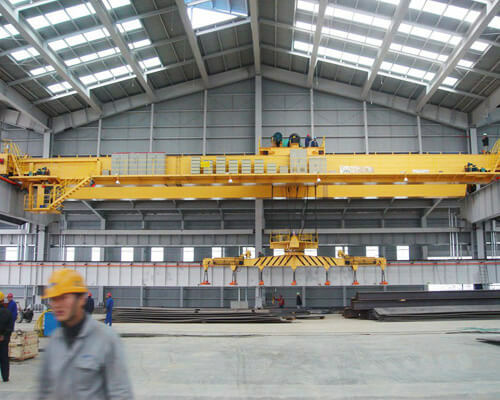 Double girder overhead crane may be a better option to handle 20 tons since it provides higher efficiency, greater lifting speed and more lifting height. The QD type double girder crane is designed for general lifting purpose, such as to lift and move goods in heavy machine shops and warehouses. LH type electric hoist overhead crane is designed for light duty and moderate service in machine shops, auxiliary workshops of metallurgical plants, warehouses and so on. It can also be used in production workshops of the textile industry and the food industry. This type of crane features compact size, low building clearance, light weight and small wheel pressure. NLH type overhead crane is designed and manufactured to European FEM standard. It has compact size, light dead weight, better appearance and minimal maintenance. 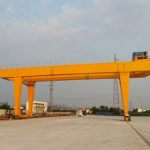 The crane is equipped with ND type wire rope electric hoist trolley to lift and move heavy loads. 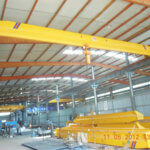 Explosion proof overhead crane is used to handle materials safely in explosive or flammable atmosphere. All motors and electrical equipment are designed to be explosion-proof. If you need to handle magnetic black metal, such as iron sheet and metal scrap, magnetic overhead crane is an ideal choice. This equipment is commonly found in scrap steel recycling plants and steel making workshops. 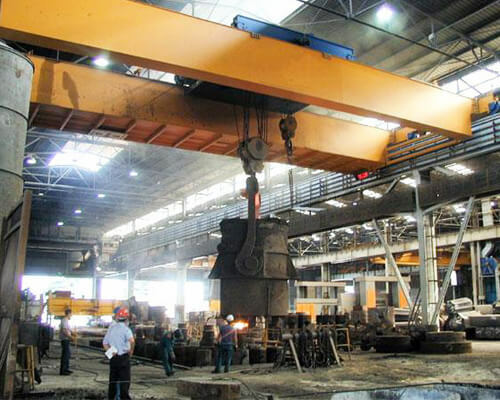 QDY type overhead crane is engineered for heavy duty applications in metallurgy and foundries. With sturdy construction and safety design, the crane can withstand the harshest condition. Grab bucket crane is widely used in power plants, freight yards and workshops to load and unload bulk materials, like sand, soil, garbage and scrap. The crane specification you require, such as the span, lifting height, lifting speed and hook coverage. How often will you use your crane? Do you need runway beams and rail track? 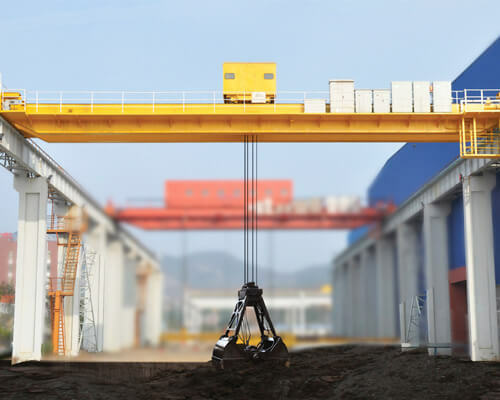 Do you have any building or structural requirements for your crane operation and installation, such as steel structure factory, runway beam and track? If you are looking for a cost-effective and reliable building type, steel structure can offer exactly what you need. It is an ideal choice to construct industrial buildings since it has easy and quick construction, long service life and low cost. What’s more, the structure can be designed and built with any shape and size to your requirements. The runway beam and track will be installed during the construction process of the new facility. We can help design the most appropriate steel structure workshop and overhead crane solution for your business. To get a free quote, contact our sales manager online now! 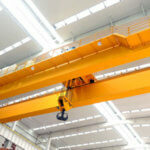 How Much Does A 20 Ton Overhead Crane Cost? Overhead bridge crane can be a significant investment as it is an important piece of equipment to improve your productivity. It is critical to buy a crane that is properly designed for your application, and also at a reasonable price. 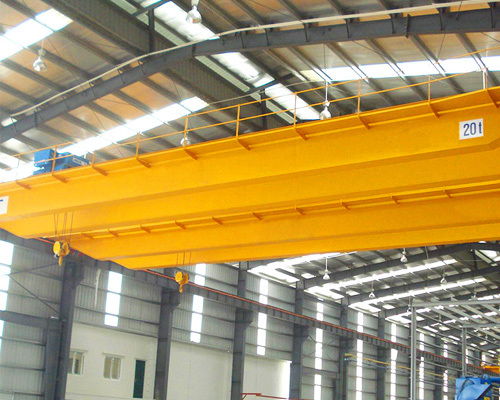 The cost of 20 ton overhead crane is determined by several different factors, like the type of crane you need, the required crane specifications, work duty, structural requirements and other special requirements. Since there are different considerations and factors that are involved in determining the 20 ton overhead crane price, you should specify your lifting requirements as much as possible in order to get the right crane system as well as the right price. If you are buying a crane from us, we can design and build a crane system that provides proper balance between cost, efficiency, suitability and durability to help you achieve maximum value for your business. Our overhead cranes are built under strict quality control for reliable performance and longer life. All the main components are sourced from reliable and reputable suppliers. With experienced technical team and state of the art processing facilities, we are able to design and build the perfect crane system for the job. What’s more, the crane can be coated with a durable paint system to withstand the harshest conditions in heavy industry. In order to ensure a smooth progress of your project, we provide a complete after-sales service, including the equipment installation, commissioning, maintenance and free technical advice. The service is available at 7*24hours every week. If you would like to partner with a reliable 20 ton overhead crane manufacturer and supplier, go for Aimix Group. We can offer exactly what you need.